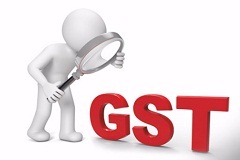 SPA are providing full range of GST Consultants in Chandigarh like registeration of GST no; invoicing, filing of returns and litigation matters on GST, We have fully dedicated professional team on it. GST is an indirect tax applicable throughout India which replaced multiple cascading taxes levied by the central and state governments. The GST is governed by a GST Council and its Chairman is the Finance Minister of India. Under GST, goods and services are taxed at the following rates, 0%, 5%, 12% , 18% and 28%. It is the government of India’s biggest tax reform in 70 years of independence, the Goods and Services Tax (GST) was finally launched on the midnight of 30 June 2017. The reform process of India’s indirect tax regime was started in 1986 by V.P. Singh with the introduction of the Modified Value Added Tax (MODVAT). A single common “Goods and Services tax (GST)” was proposed and given a go-ahead in 1999 during a meeting between then Prime Minister Atal Bihari Vajpayee and his economic advisory panel, to design a GST model. The Ravi Dasgupta committee was also tasked with putting in place the backend technology and logistics (later came to be known as GSTN in 2017) for rolling out a uniform taxation regime in the country. Then Congress led UPA government in February 2006 continued work on the same and proposed a GST. A single GST replaced several existing taxes and levies which include: central excise duty, services tax, additional customs duty, surcharges, state-level value added tax and octroi. Other levies which were applicable on inter-state transportation of goods has also been done away with in GST regime. The GST is levied on all type of transactions such as sale, transfer, purchase, barter, lease, or import of goods and/or services. India adopted a dual GST model, meaning that taxation is administered by both the Union and State Governments. Transactions made within a single state will be levied with Central GST (CGST) by the Central Government and State GST (SGST) by the government of that state. For inter-state transactions and imported goods or services, an Integrated GST (IGST) is levied by the Central Government. GST is a consumption-based tax, therefore, taxes are paid to the state where the goods or services are consumed not the state in which they were produced. IGST complicates tax collection for State Governments by disabling them to collect the tax owed to them directly from the Central Government. Under the previous system, a state would have to only deal with a single government in order to collect tax revenue. GST rates are as discussed above. The introduction of the GST increased the costs of most consumer goods and services in India including food, hotel charges, insurance and cinema tickets. Check-posts across the country were abolished ensuring free and fast movement of goods. The Central Government had proposed to insulate the revenues of the States from the impact of GST, with the expectation that in due course, GST will be levied on petroleum and petroleum products. The central government had assured states of compensation for any revenue loss incurred by them from the date of GST for a period of five years. However, no concrete laws were made to support such action. As per the government website on GST, “Goods and Services Tax” Network (GSTN) is a nonprofit organisation proposed to be formed for creating a website / platform for all the concerned parties related to the GST, namely stakeholders, government and taxpayers to collaborate on a single portal. When up and running, the portal is supposed to be accessible to the central government which allows it to track down every transaction on its end while taxpayers are advertised to have the ability of connecting this to their tax returns. However its efficacy and efficiency is yet to be tested.